To unpack in the days to come! Thanks you for this...it is my new desktop...and on my iPad....and on my phone. Perhaps this is my next tattoo. I have lost 50 pounds on an 80 pound journey. When people ask how I say I am eating my mindfully. I received very quizzical looks. I explain I simply am present when I eat, enjoy the food and appreciate the company then I move on. Difficult to grasp, easy to execute. 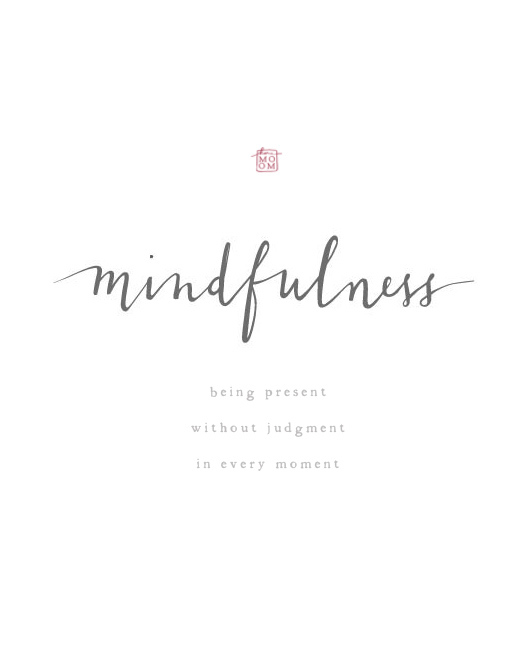 darci, thanks for sharing -- so glad / impressed to hear how you have been experimenting with mindfulness in your life (& seeing the results of it) ! what motivated you to try this approach? we are so trained to eat "mindlessly" (on the go, in front of the TV, etc.) that it is becoming harder & harder to be mindful with food. but so important for health & enjoyment! I honestly did not realize that this was my approach until people starting commenting on my progress, and I needed to have a response to "How are you doing it? What is the magic?" I began my adventure when I had went to stay with my daughter in her college housing apartment for 2 weeks as she rehab through knee surgery. I needed to get out of the apartment so I would walk a 3 mile loop around campus...add this to the simple eating of college life - no expensive snacks, cookies or left overs hanging around - and I lost 5 pounds. Upon returning home I continued the trend, modifying the food selections and adding variety to the exercise routine. Through it all I realized that I was becoming more aware of what was going into my body and how it affected me. It has been a journey. certainly a meaningful journey, made of many small steps in the right direction! I really appreciated this and it resonated even more after reading the comments on here. Thank you for sharing Karm.